The Sacramento River Cats and Character Combine are teaming up to host a Character Football Combine before the River Cats game Sunday, August 14, at Raley Field. The Character Combine features special presentations from the Sacramento River Cats, Character Combine host Jason Harper and former NFL linebacker Adrian Ross. 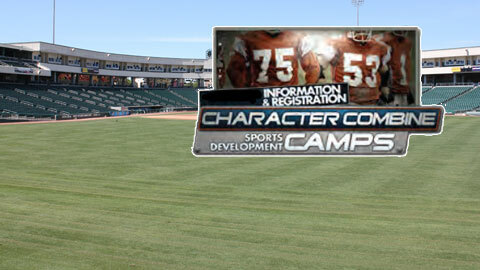 The Character Combine starts at 10:00 a.m.; the River Cats game starts at 1:05 p.m. The River Cats game is a U.S. Bank Sunday Funday, featuring pregame player autographs and postgame kids run the bases. Junior football players (ages 6-14), coaches and cheerleaders will take part in a pregame parade around Raley Field. Tickets to the Combine and River Cats are $7 for lawn tickets, $12 for Delta Box and $15 for Gold Rush. To purchase tickets, contact Samantha Bottari at sbottari@rivercats.com or 916-376-4718.